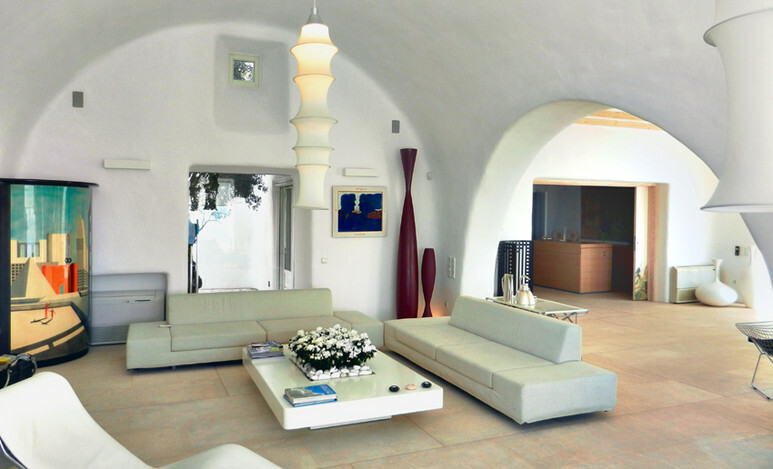 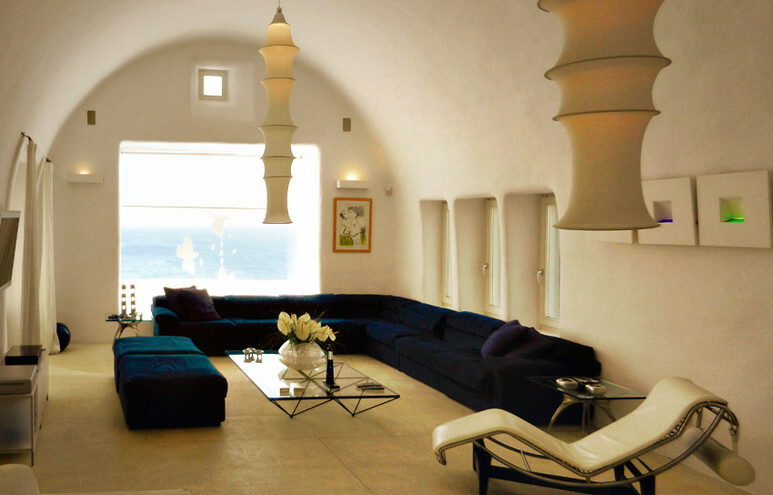 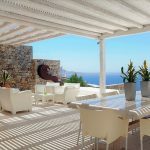 This marvellous Villa perched on a hill of Aleomandra above Saint John Beach offers an extravagant& comfortablespace for exclusivevisitors with a demanding Life Style!!! 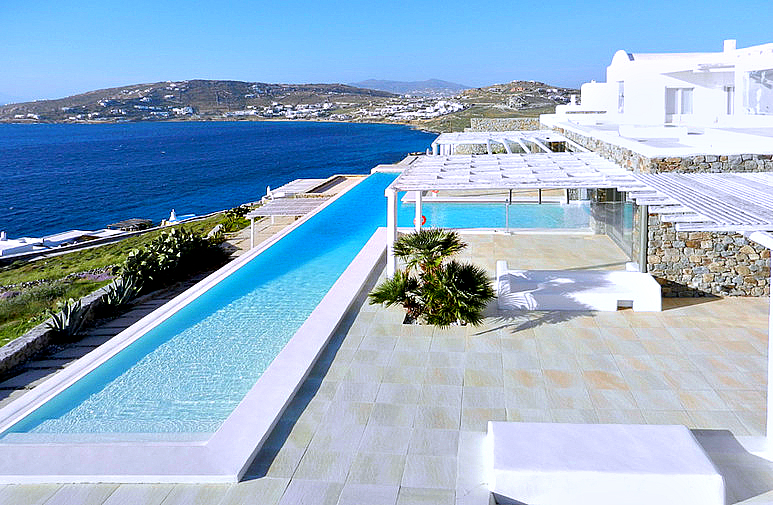 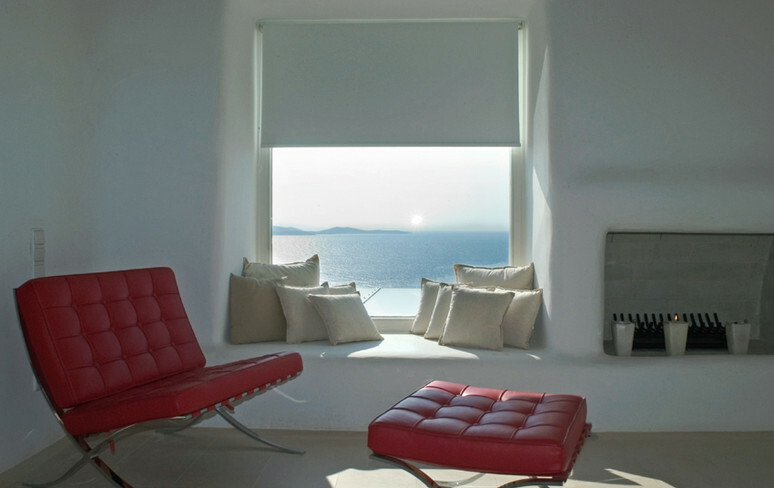 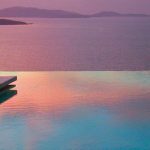 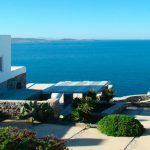 The villa has a deluxe swimming pool that offers amazing outlooks over the ancient island of Delos and the most breath-taking sunsets in Mykonos!The accommodation is divided into three different level i.e. 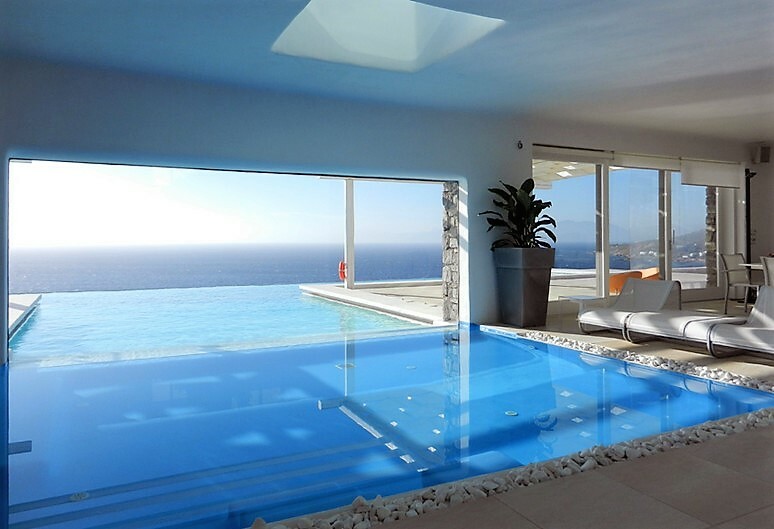 ground, lower and upper level. 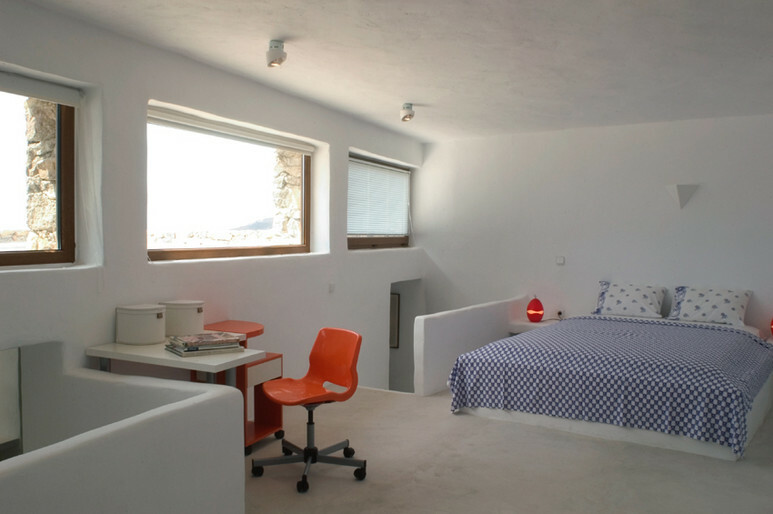 The upper level has two Ensuite bedrooms that share a landing area with a small office facility. 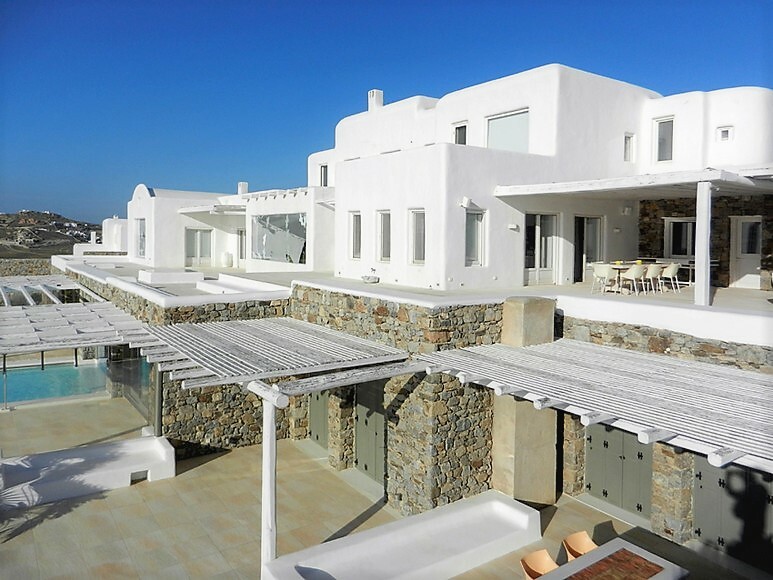 Each room has access to its own private terrace. 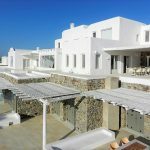 There are large verandas with pergolas to enjoy outdoor meals.The lower level has three Ensuite bedrooms having with sitting area, fireplace, kitchenette, and shower room. 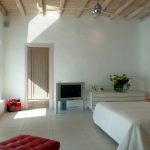 Every bedroom at this level has a direct access to the pool of the villa. 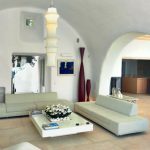 There is also access to the staff quarters.The ground level has an Independent junior suite having a private entrance from the main villa. 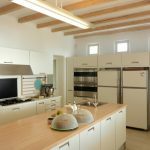 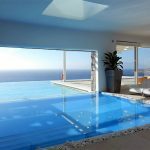 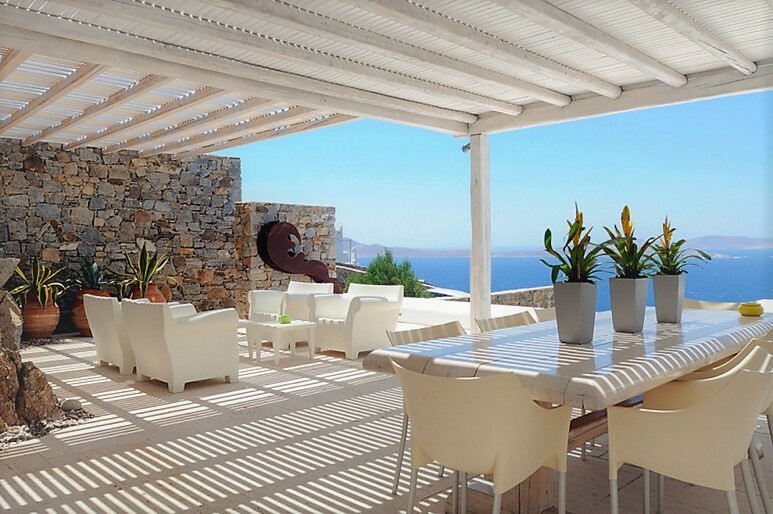 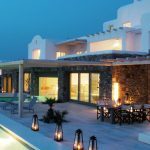 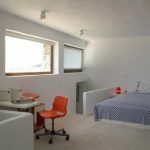 The villa is ideally located at the distance to main destinations like the airport is only at a distance of 3 km, port at 4 km, Mykonos town at 2.5 km distance. 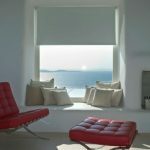 In addition, the villa is located near some famous beaches likeAgiosIoannis(600m), Psarou beach (1.700m) and/ Ornos beach (500m).